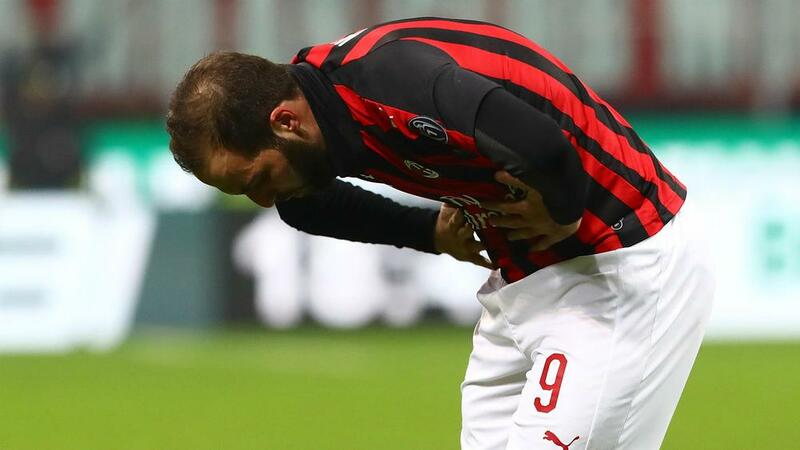 AC Milan sporting director Leonardo has urged striker Gonzalo Higuain to make a decision over his future with the Rossoneri. Gonzalo Higuain has been told by sporting director Leonardo to show responsibility for AC Milan and decide his future at the club. Higuain, on loan at the Rossoneri from Serie A champions Juventus, has scored just one Milan goal since October. The Argentina international has been linked with a move in the January transfer window, with Chelsea reportedly keen. And Leonardo says Higuain has to make up his mind about whether he wants to continue his career at San Siro or go elsewhere. "He has to make a decision and take on his share of the responsibility," the club's sporting director, who last month said there has been no contact with Chelsea, told reporters. "Not this continual yes, no, I'm not sure. He had a tough moment, he has to put it behind him and get to work. "There's no point following rumours and gossip. He is here right now. Seeing as he is here, he needs to knuckle down and actually do something for this team. Milan's new signing Lucas Paqueta was unveiled by the club on Tuesday, the Brazilian having completed a move from Flamengo in his homeland. And he revealed his admiration for Milan's under-fire head coach Gennaro Gattuso, who he used to play as on video games. "Without a doubt he was a great player, one I always took on PlayStation," he told a news conference. "I am very happy to be trained by him, I was very well received. I hope to meet expectations." Of his preferred role, the Brazilian added: "I have not talked to Gattuso about this yet, I like being in midfield. "At Flamengo I also played from the second line, I want to play the role that Gattuso will tell me to help the team."